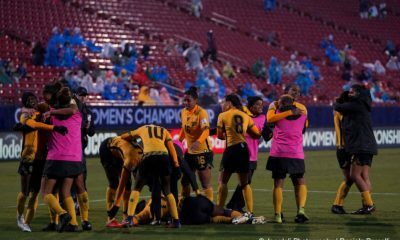 Jamaica surrendered one lead in normal time and another in extra time, but a flawless performance in penalty kicks has propelled them into the World Cup for the first time. 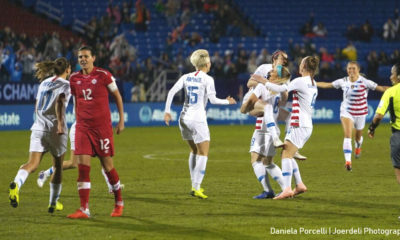 The Raggae Girlz made all four of their kicks and late goalkeeper substitution paid dividends when Nicole McClure made two saves against Panama. 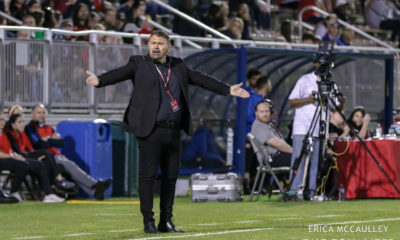 It will be the first trip to the World Cup for the Jamaican women while Panama will get one more chance in a two-leg playoff against Argentina next month. Jamaica’s first lead came on 14 minutes. Exposing space on Panama’s left flank, Jody Brown ran into space and had a free cross into the 18. With the defense stretched, Bunny Shaw was able to slip between Panama’s center backs and with a slight jump, head the ball past Yenith Bailey and in. The lead held until the 74th minute when Natalia Mills ran onto a perfectly weighted through ball off the foot of Karla Riley. Defender Dominique Bond-Flasza stayed tight to Mills but she was able to get a shorr off around the defender and bury it to the far post. Extra time came as did another early Jamaica lead. 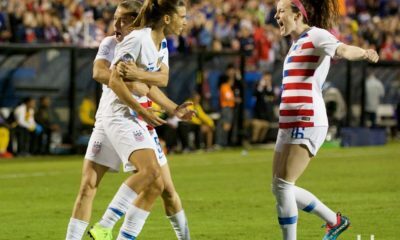 Five minutes in a cross by Ashleigh Shim eluded both a teammate and a defender and trickled to Brown who patiently teed it up and scored to move Jamaica back to the brink of the World Cup. Panama were not done yet. 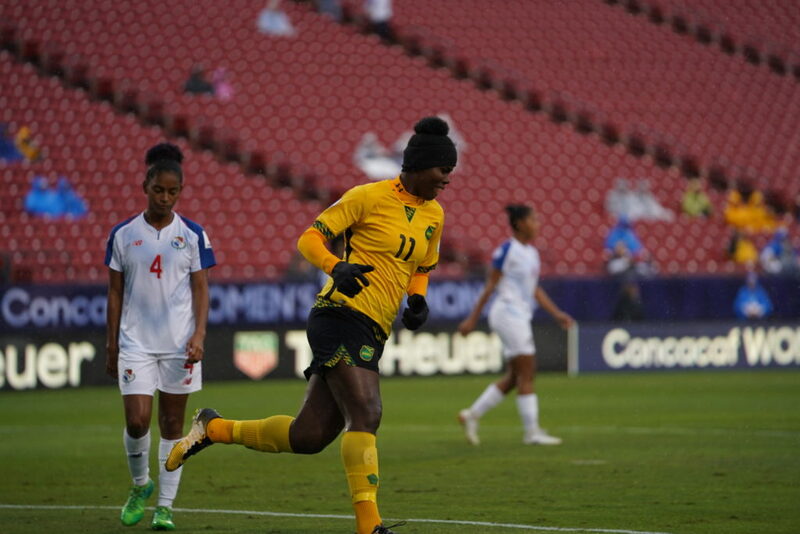 This time Jamaica were about six minutes from the finish line when a ball ahead slipped through tired defenders to Lineth Cedeno who had to act quickly to get the touch over Sydney Schneider and in for another equalizer. Both teams made their first two penalties before Cedeno stepped to the line for the third round. 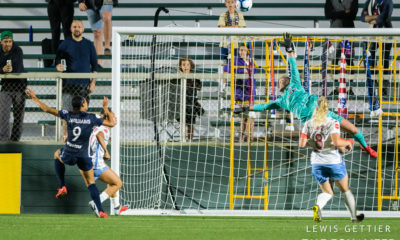 Cedeno had beat Schnieder for the extra time equalizer but she took a poor penalty that did not leave McClure with a long way to move left and make the save. 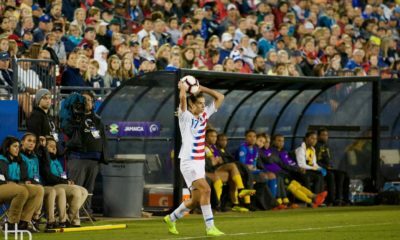 After a Jamaica make, Kenia Rangel did not get enough leg on her attempt giving McClure as simple a save in a penalty shootout as one could ask for. McClure’s saves set the stage for Bond-Flasza to create a defining moment for the Jamaicans. She calmly placed her shot high to Bailey’s left as the keeper guessed right, and the celebration was underway for Jamaica. Their first trip to the World Cup will be the first for any Caribbean country in what will be the eighth edition of the tournament.